Why Should You Buy Used Vehicles From Crestview Chrysler? As a Five Star Designation Achievement Award Winner from Chrysler Canada and a staple dealership in Regina, SK, Crestview Chrysler has been proud to serve the community for many years. Our dealership has one of the largest inventories of pre-owned vehicles in Saskatchewan, and each year we provide our customers with the competitive lineup of Dodge, Chrysler, Jeep, and Ram models, as well as top quality vehicles from other manufactures. In addition, our finance staff will get you a sensible price or financing package and our service staff will maintain your purchase for years to come! At Crestview Chrysler, we constantly update our inventory of with new selections to offer you the best choices. We have many models that list for under 10K and rotating specials on top models. After consulting with our finance specialists, our customers are able to drive off the lot in the vehicle they want at a payment plan they can fit into their budget. Financial approval is quick and easy thanks to our online application. 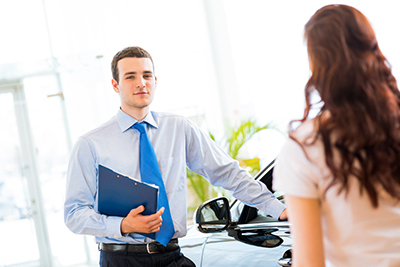 Just provide us with your basic information and we’ll help get you behind the wheel of your ideal vehicle, regardless of your credit. Our professional, friendly sales staff is on-hand to provide a comfortable, hassle-free environment for our customers. Their extensive knowledge and experience are guaranteed to ensure customer satisfaction. Crestview Chrysler has the largest selection of used cars in the entire province. Our pre-owned online inventory makes it easy to find the vehicle you want. You’ll receive a lifetime engine warranty with most pre-owned purchases, and a 30-day exchange period will allow you to swap vehicles of equal value if you are not completely satisfied with your purchase. To explore our showroom or to ask any questions you might have about any of our pre-owned and used vehicles, visit our dealership at 601 Albert Street in Regina or give our sales associates a call at (306) 525-5411. We look forward to serving you!